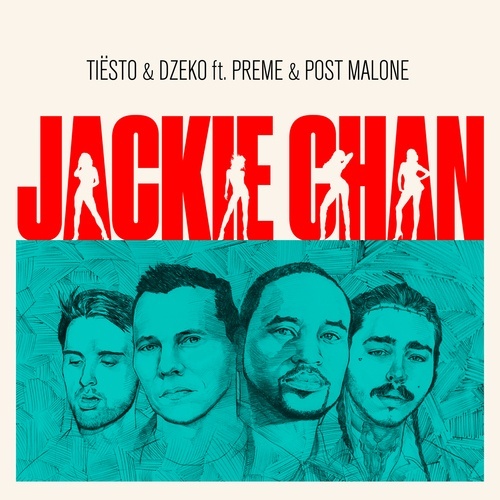 "Jackie Chan" is a song with vocals by Canadian rapper Preme and American rapper Post Malone. The track was originally featured on Preme's debut full-length album, Light of Day, released on May 4, 2018. Upon hearing the vocal in the studio, Dutch DJ Tiësto and Canadian DJ Dzeko decided to produce an alternate version with crossover club appeal, for release as a single. This version is credited to Tiësto and Dzeko featuring Preme and Post Malone. Following its release as a single, "Jackie Chan" peaked at number 52 on the US Billboard Hot 100, and number one on US Billboard Dance/Mix Show Airplay chart.